Lastly, more then anything I wanted to say Merry Christmas to you all! Hope you are spending your best days ever and felling SUPER LOVED! 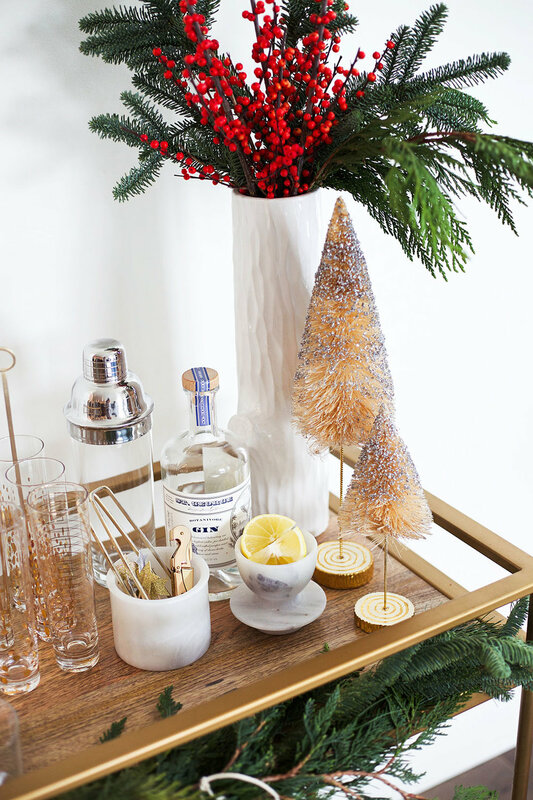 Since this entire week is basically a free pass to drink daily i thought I'd bring you a little holiday cocktail! I love a great cocktail! Or two ;). 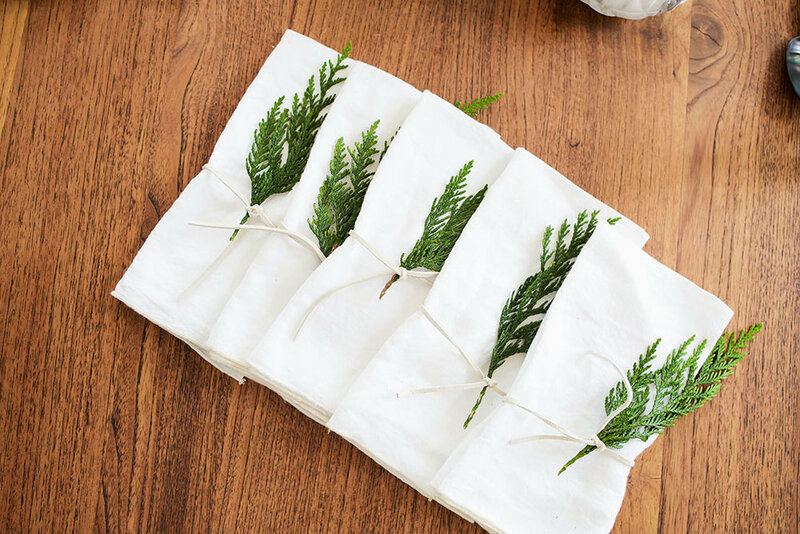 This one is pretty simple and easy to execute and perfect for any of the holiday gatherings you might be attending. I'm actually bringing a big batch of this to Christmas Eve, I'll just be adding fresh pomegranate seeds to it which I forgot to do here! Ooops! Enjoy and happiest holiday week guys! 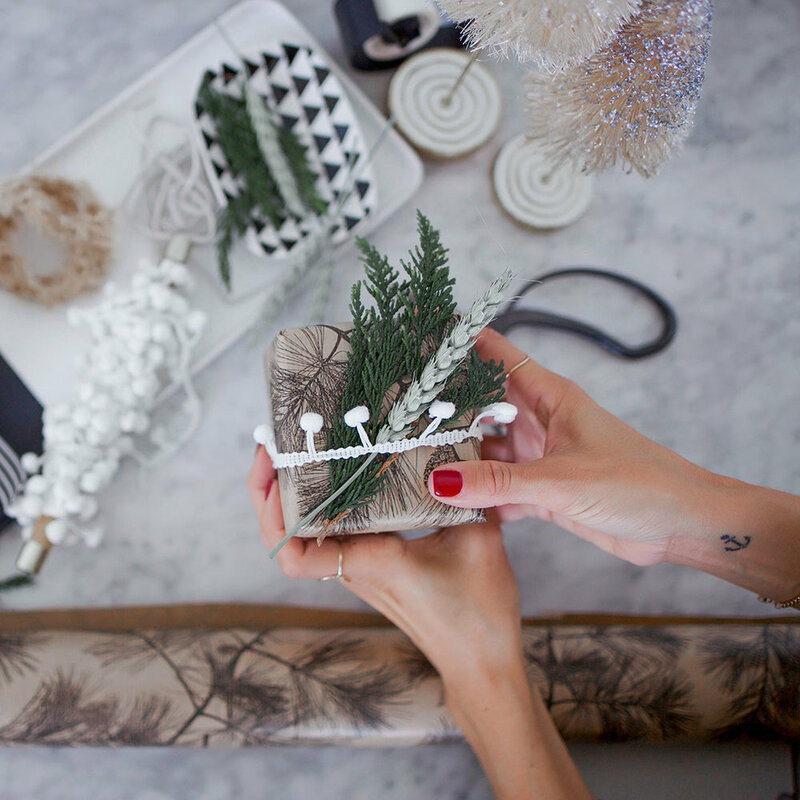 A little holiday style inspo while I'm here. How about changing up what you would traditionally wear to your holiday parties ans instead opting for a cozy chunky knit, satin skirt and some bold earrings? Tres Chic! I'm adding pomegranate seeds to make it more festive! 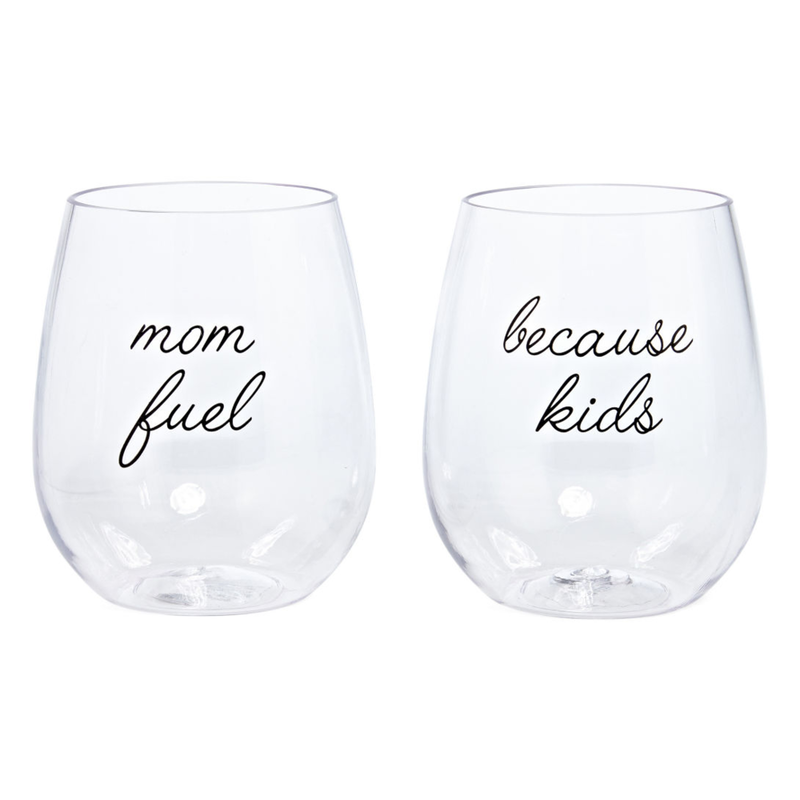 Ok you guys this is literally my favorite Gift Guide! 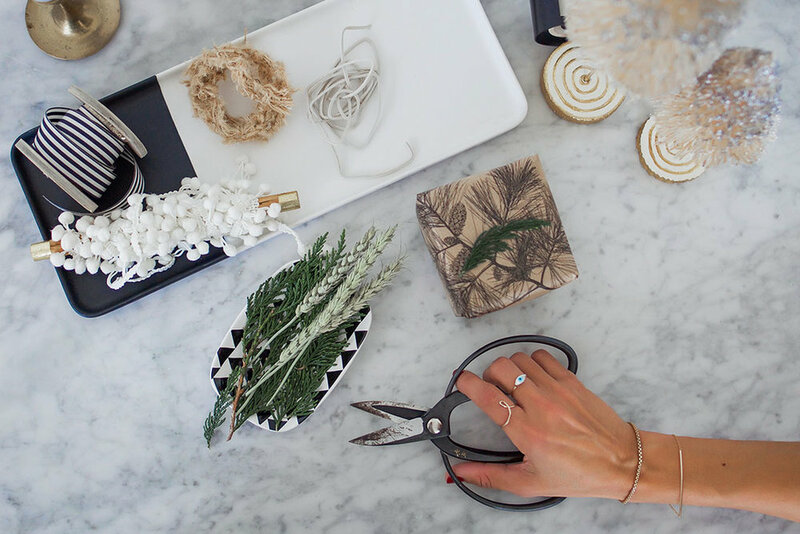 I am a total homebody through and through and I want ALL of these gifts! 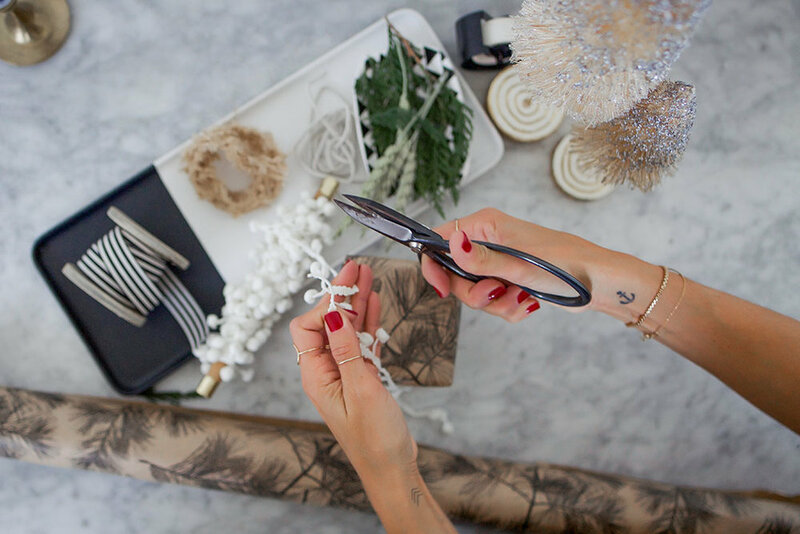 I got a lot of requests to create an affordable Gift Guide so I really kept that in mind when creating his one. 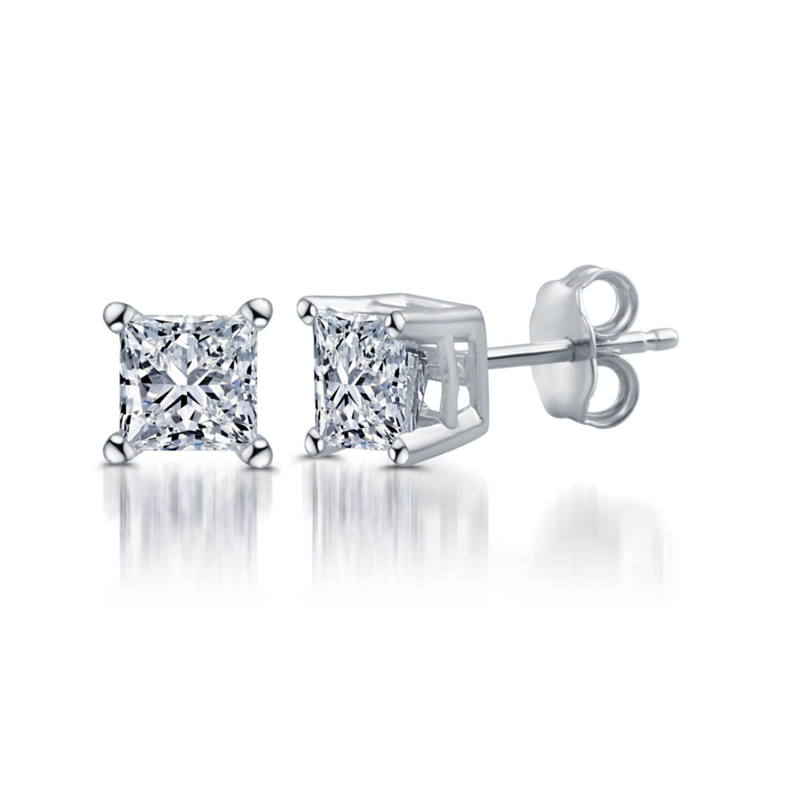 Most items are way under $50 and look way more expensive then their actual prices! Boom! 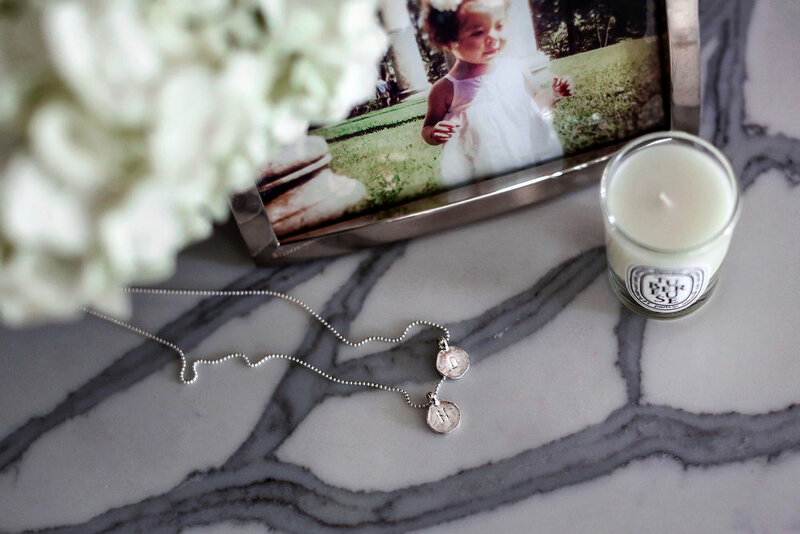 Read on on why I picked each item and why it's special! You've got plenty of shipping time for all these gifts so don't worry about getting them on time but I would shop quickly before the clock runs out! All images above are clickable and will go straight to shop your item and well as link below. Gunn & Swain Throw Blanket: I personally own one of these blankets and we use it constantly! We cozy up with it when e watch TV. WE take it to the park for picnics and of course to the beach! 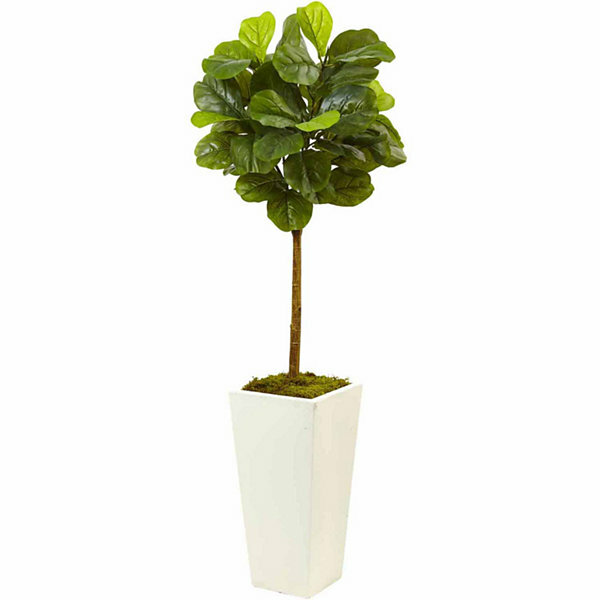 This baby is durable and adds just the right amount of California vibe to your home decor! Adelphi Metal Planter: How gorgeous is this planter and it's under $20!? Whaaa! I'm obsessed with having plants all over my house and I stick to white and brass accented ones to keep things cohesive. This one is going to fit right in! Le Labo Santal Candle: If you want to really seal the deal on a friendship give her this candle! It is the most amazing, luxurious scent ever! I wear the fragrance and get compliments constantly! Amber, Vanilla, Cedar, Sandalwood, Musk... Gorgeous! 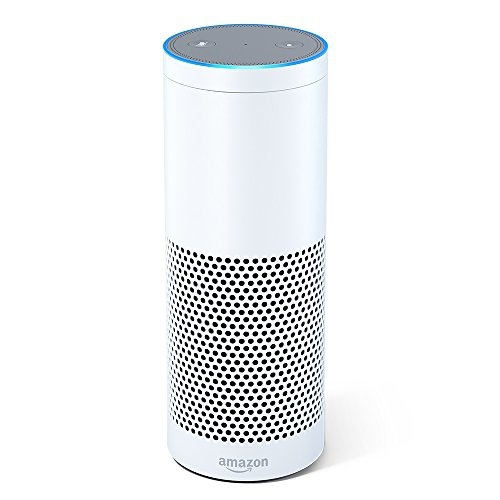 Amazon Echo: This is also on my Gift Guide for Him and I want one so bad! It basically does everything for you. Turns lights on/off, plays music by voice command, will tell you the news... Awesome! 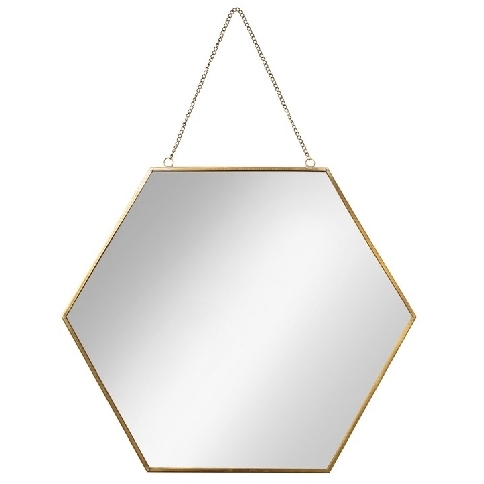 Wall Mirror: I love the hexagonal shape of this mirror. And again you can't beat the price! Would look so nice in and entryway. Marble Accent Cutting Board: I love the Danish mid century nod of this cutting board. Clean, modern and not just functional but will look gorgeous displayed in your kitchen. It's All Good Cookbook: By far my most used cookbook! So easy, so healthy, so nutritious! This is a perfect hostess gift or for anyone on your list that wants to focus on healthy easy eating. 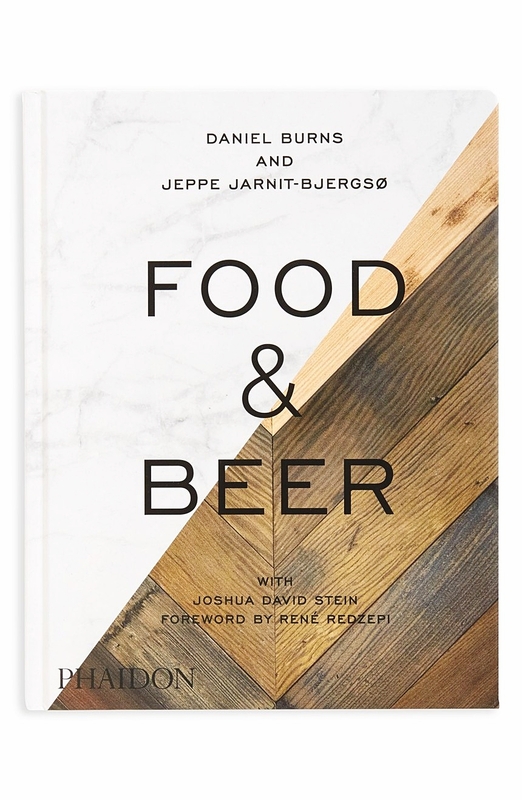 FooD & Beer Book: Apparently San Diego is the capital of beer in the world so I know a lot of people that this will be perfect for! Cravings Cookbook By Chrissy Teigan: I have heard so many great things about this cookbook and it's on everyone's wish list! It's also sold out everywhere BUT I found it here! 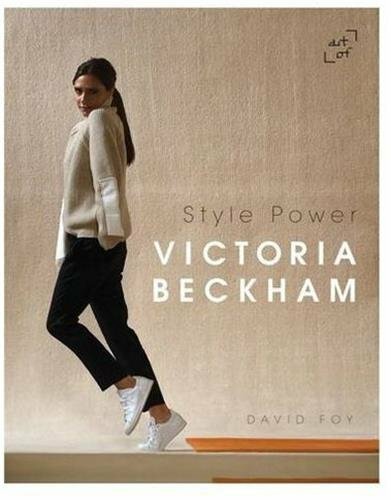 Victoria Beckham Style Story: I'm slightly obsessed with this poshed up spice girl (see how I did that?! ;} ) and all she currently does! Effortlessly chic! Folding Knife Set: Clean and modern. 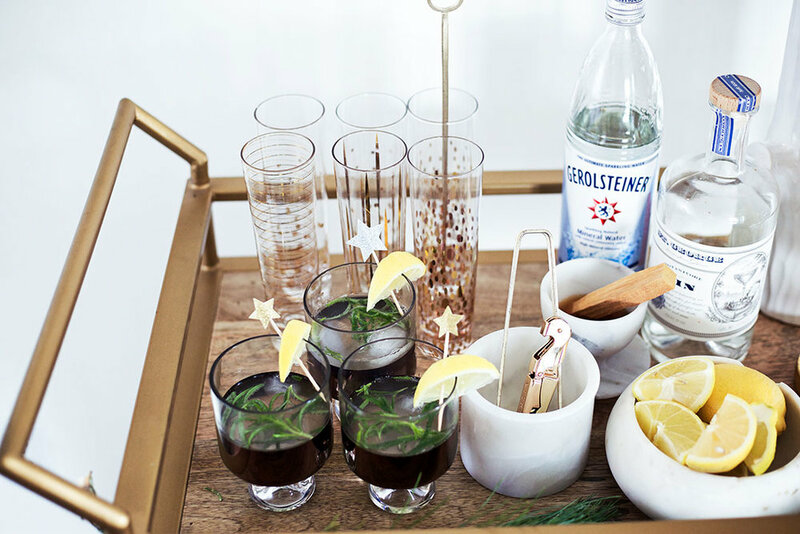 Marble Serving Tray: How chic is this and it's under $20 guys! Run! 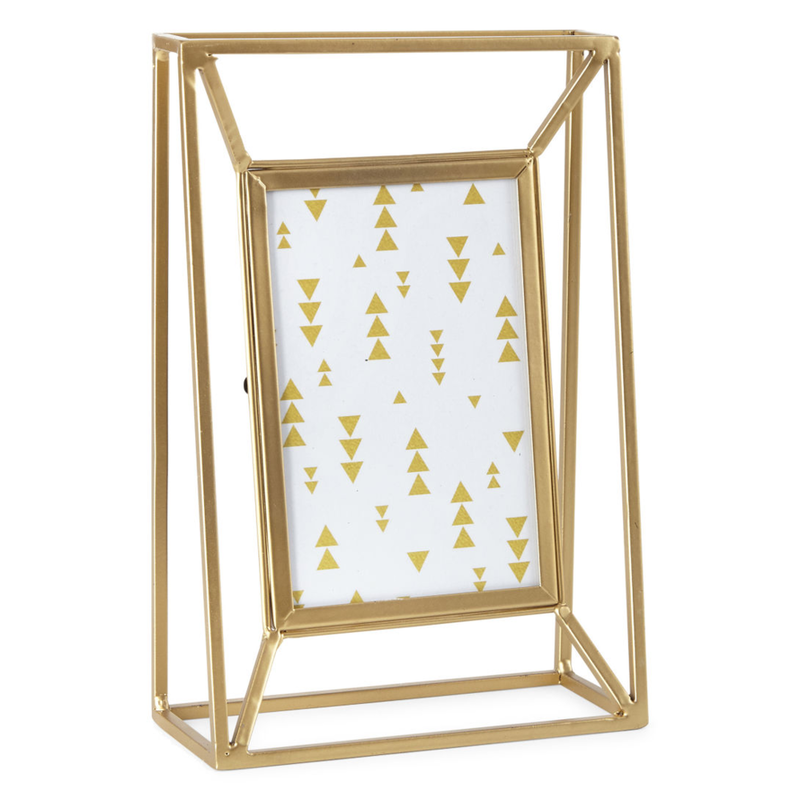 Perfect for cheese plates, a dessert dish or even to use on your vanity for your pretty fragrance bottles! 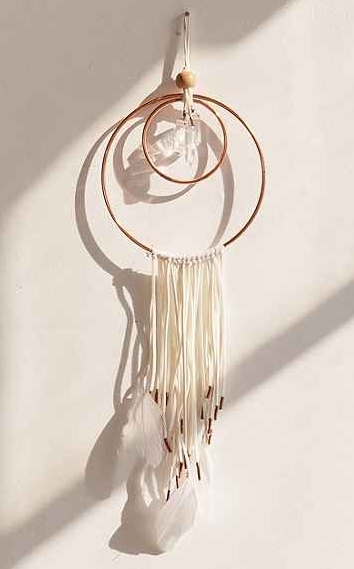 Dream Catcher: When it comes to my home I like to mix in organic pieces like this one. Dream catchers are so beautiful and hold such great meaning. A wonderful gift. 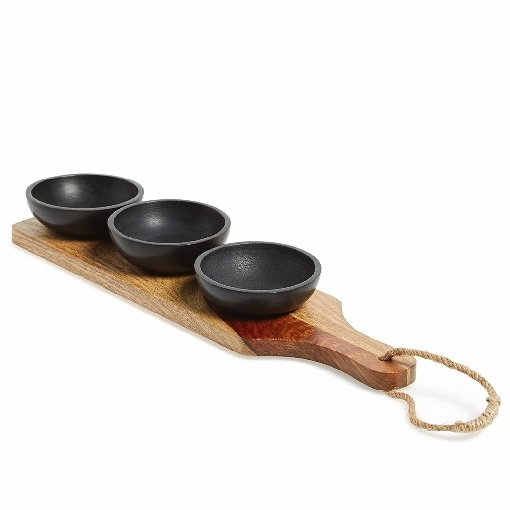 Serving Board with Bowls: Love this one, perfect to do a flight of different hummus dips or chips-salsa-guac! Gold Art Deco Champagne Flutes: LOVE these! Cocktail Shaker Set: Ohhh I need these for my bar cart! So pretty! Also, Barb and I collaborated on a few more home projects so you'll be seeing more of her amazing interior decor & event skills coming soon! 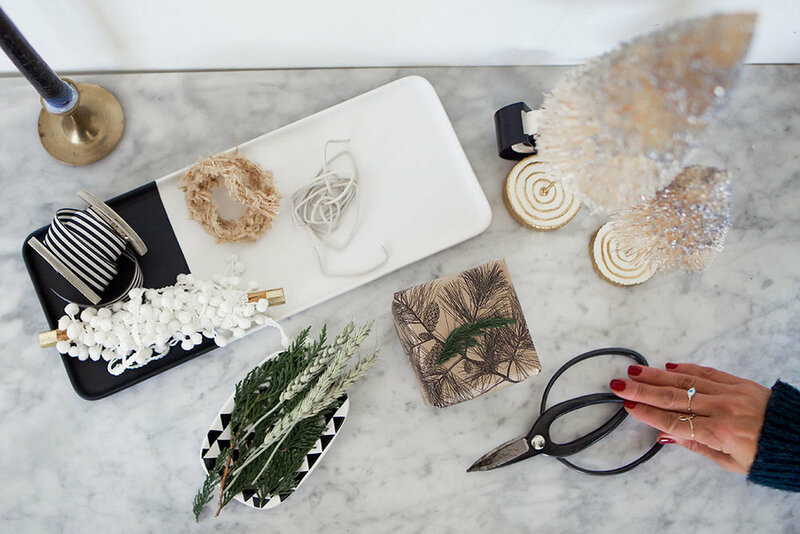 Best advice for creating a unique holiday feel for your home? BARB: Be authentic and do something that truly represent your aesthetic. I think when you design from the heart it makes it so much personal. With all the inspo out there, it can get overwhelming. So keep it simple and do it with love. I tend to use a lot of white in the design and when I do, I always mix different textures and materials. 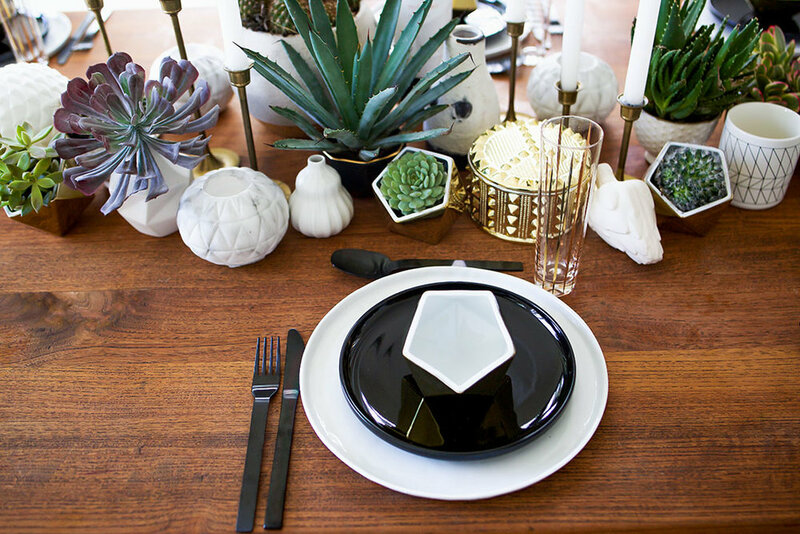 Where do you shop for home decor without breaking the bank? I were going to invest in something, this would be it. It can honestly change the feeling of the design. BARB: I get inspired by just about everything but it usually starts with that one thing that catches my eye and it starts to build from there. It could be a simple thing like a vase or some glassware and then I build off that. I'm not actually a fan of concept boards. They take to much time and I'd rather just let it flow. What is a project or collaboration that you are most proud of and why? It would have to be this White and Copper Winter Wedding, simply because I love" collaborating with local San Diego talent and the photographers Singler Photography are really amazing. 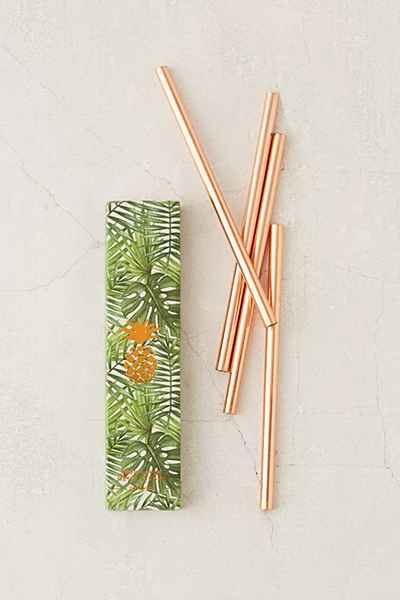 For this styled shoot I found these amazing copper objects while on a trip to NYC. That was the one piece that I used as my road map for the rest of the design. To check out more beautiful work from Blanc Floral Design! 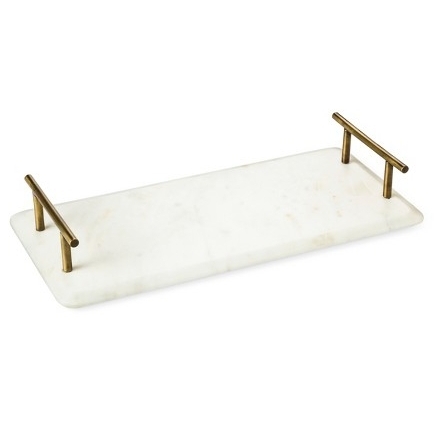 MARBLE CHEESE TRAY: LOVE this, wold make a great gift!